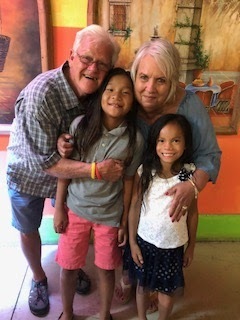 My Girls : Happy 50th Anniversary! 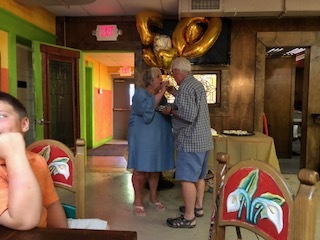 My second set of parents celebrated their 50th wedding anniversary! Amy and Sara hosted a fun party at El Camino! We had yummy food and even better cake from Ideal Bakery. This is where they had their wedding cake made all those years ago and coincidentally it's where John and I got our wedding cake! !